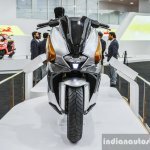 All three are pre-production concepts from TVS. 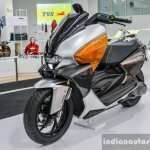 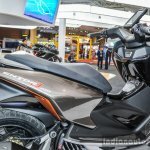 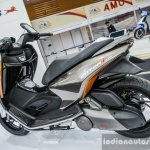 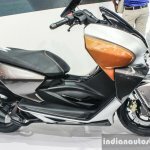 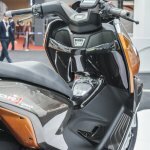 TVS Motorcycles is showcasing the TVS X21, TVS Akula 310 and TVS Entorq 210 at the ongoing IMOS 2016 (Indonesia Motorcycle Show) in Jakarta. 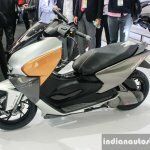 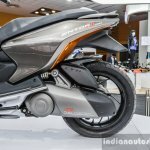 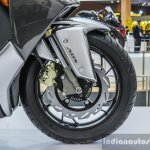 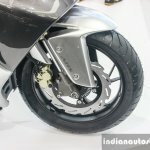 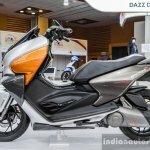 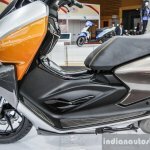 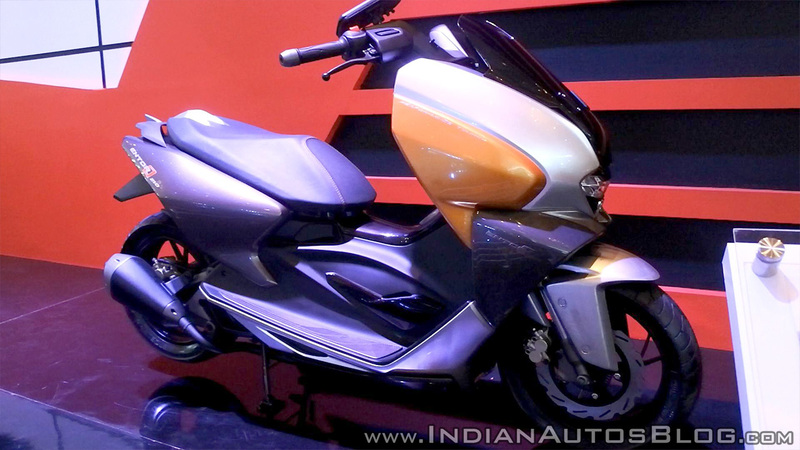 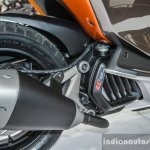 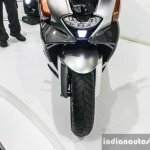 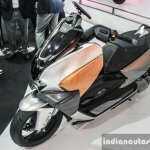 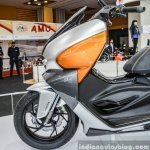 All three pre-production concepts preview future models for the Indian manufacturer's portfolio, and are from the archive. 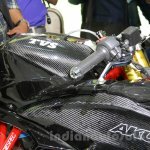 Based on the TVS Apache RTR 200 4V, the X21 Concept Racer showcases a future race bike likely to compete in their one-make racing series. 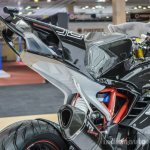 It features a lightweight chassis with a low centre of mass telescopic fork, gas-filled monoshock on swingarm, steering damper, race levers and special race-spec components as a performance kit. 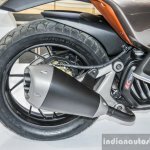 The X21 Concept Racer is powered by a modified version of the Apache engine - a 212.4 cc single-cylinder air-cooled motor paired with twin free flow exhaust canisters. 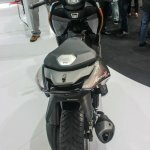 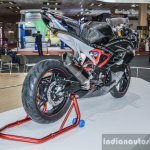 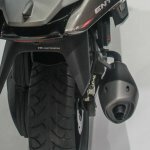 As part of the TVS-BMW Motorrad technical partnership, the Indian bike manufacturer will soon roll out their version of the highly anticipated BMW G310R. Unlike the G310R, the Akula is a fully faired motorcycle which has also been fettled by their in-house racing division, TVS Racing. 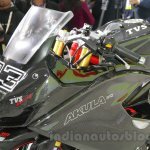 TVS Akula 310 uses the 310 cc single-cylinder liquid-cooled DOHC engine with four valves that powers the BMW G310R, but retuned for the race track. 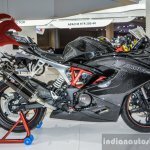 The concept features inverted fork, aluminum trellis sub-frame, race-spec rear suspension, RAM air intake, gill-vents for better thermal efficiency, on-board gyro camera assist, aerodynamic drag reduction system and lightweight aluminium components. 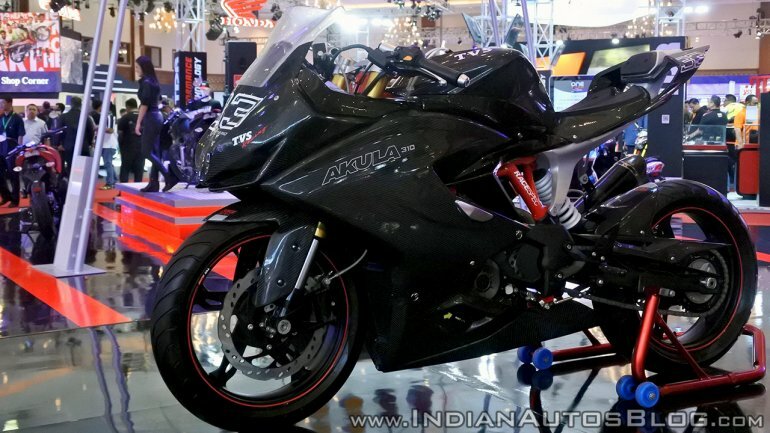 The Akula could be called the TVS Apache RTR 300 when it hits the Indian market next March. 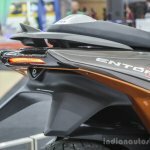 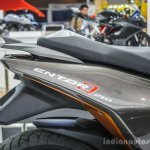 The Entorq 210 concept from TVS previews a possible all-round scooter that is easy to ride in the city as well as capable of cruising at highway speeds. 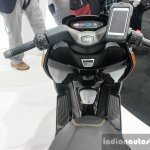 It comes equipped with intelligent smartphone integration with GPS navigation and online connectivity, smart key, multi-function TFT instrument console, push button for start/stop, a large under-seat storage and an 8.5-litre fuel tank. 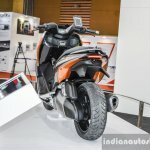 Powering the concept is an aluminium-based 212.5 cc single-cylinder liquid-cooled fuel injected engine, mated to a Variomatic transmission system. 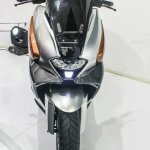 The motor enables the touring scooter to reach a top speed of 120 km/h. 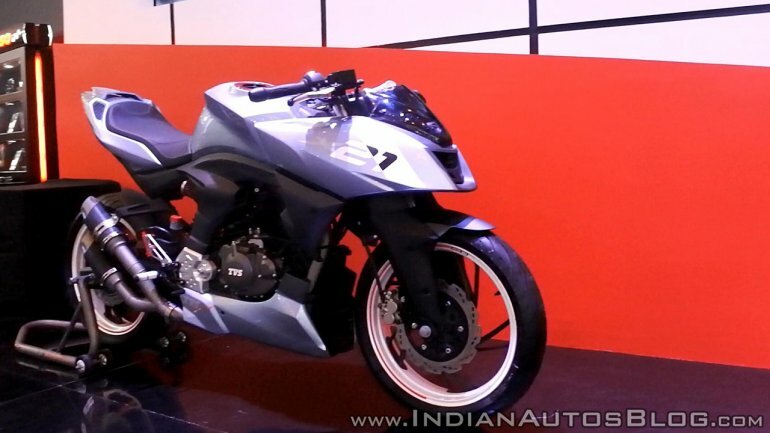 Thanks to Yudi for sharing the above images! 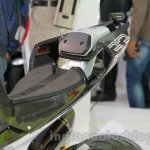 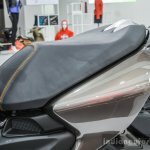 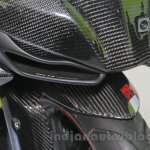 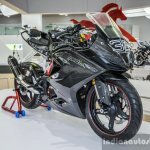 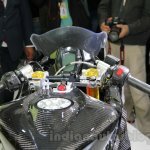 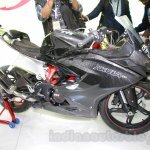 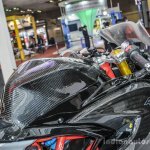 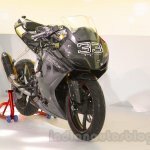 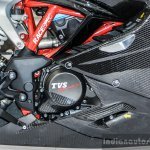 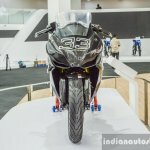 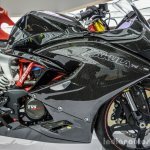 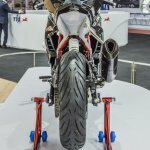 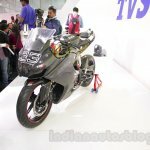 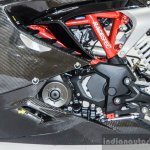 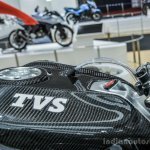 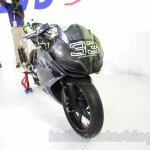 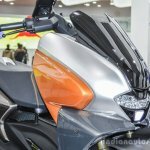 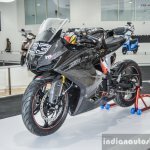 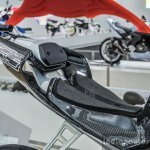 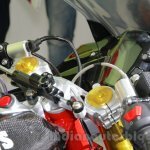 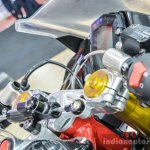 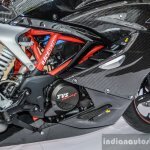 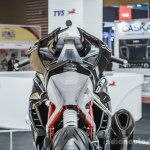 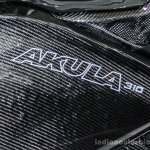 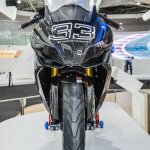 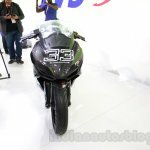 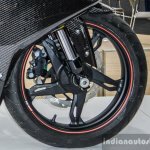 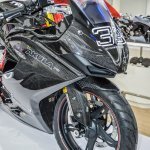 Production-ready TVS Akula 310 - This is it!